How to Backup iPhone & iPad with iCloud - iMobie Inc.
How to backup iPhone/iPad with iCloud quickly? 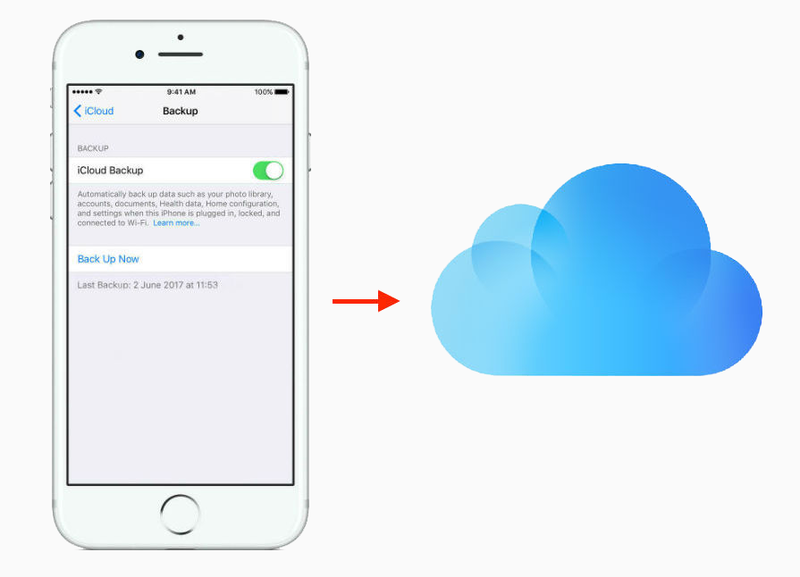 This guide is writing to help you backup iPhone/iPad to iCloud without effort. Download this all-in-one iOS data software – AnyTrans, which can help you backup your iPhone/iPad data in a quicker way. For almost every Apple user, they may occasionally encounter file accidentally lost, damaged, or device lost, etc. Some important information on iPhone/iPad like photos, contacts, music, messages will be missing. Therefore, the best way to safeguard your iPhone/iPad is to backup the data in advance. It is known that Apple users can backup content on iPhone/ipad with the aid of iTunes and iCloud. You can backup iPhone data to computer via iTunes, and backup iPhone to iCloud automatically or manually when connecting your device to Wi-Fi. 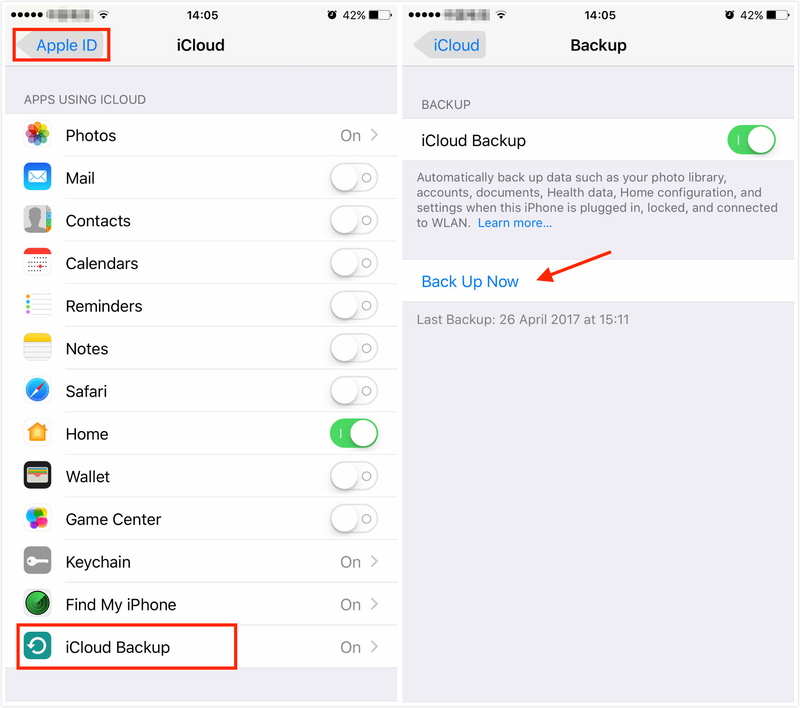 iCloud backup information includes your camera roll photos, videos, purchased music, movies, TV shows, apps data, contacts, wallpapers, etc. iCloud also allows you to manage your iPhone/iPad backup and choose documents you want to keep in the iCloud. Well, how to backup iPhone to iCloud? If you are new to iOS, you may have no idea of backing up iPhone to iCloud and iPad as well, so, later in this guide, we will show you the traditional method and an alternative method in detail to help you backup your iPhone/iPad to iCloud. Now, let’s see how to backup iPhone & iPad with iCloud in 2 parts. iCloud will automatically backup iPhone/iPad data under Wi-Fi when they're plugged in, locked and connected to the power source. While, you can also choose to backup your iPhone/iPad to iCloud manually. Just follow us to learn the detailed info about how to backup iPhone/iPad to iCloud. You can backup your iPhone/iPad with following steps. And once your iCloud backup storage service starts, it will automatically back up your photo library, accounts, documents, Health data, Home configuration, and setting when your iPhone or iPad is plugged in, locked and connected to Wi-Fi. Step 1. Tap Settings > Apple ID > iCloud > Scroll down till you see iCloud Backup. Step 2. Click on iCloud Backup > Turn it on. You can let iCloud auto back up your iPhone/ipad at night as long as you connect your device to a power source & a Wi-Fi network. Step 1. Tap on Settings > Apple ID > iCloud > iCloud Backup. Step 1. Tap Settings & iCloud > Storage & Backup. Before the backup is completed, iPhone/iPad will give you an estimated time, and there's a progress bar you can watch too. Backup time is depends on the size of your data and Internet connection speed. This process may take some time. If you feel it’s time-consuming and want to speed up iCloud backup? You can read this how to increase iCloud backup speed article, or have a try on another quicker way – using AnyTrans. The traditional way not supports backing up specific iPhone files and time-consuming, which is quick inconvenient. While using AnyTrans, not only can you backup your iPhone to iCloud faster than before, but also be allowed to backup specific items instead of all data. Now let's install AnyTrans and follow the simple steps to backup your iPhone to iCloud with ease. Step 1. Launch AnyTrans on your computer and connect your iPhone with USB cable. Step 2. 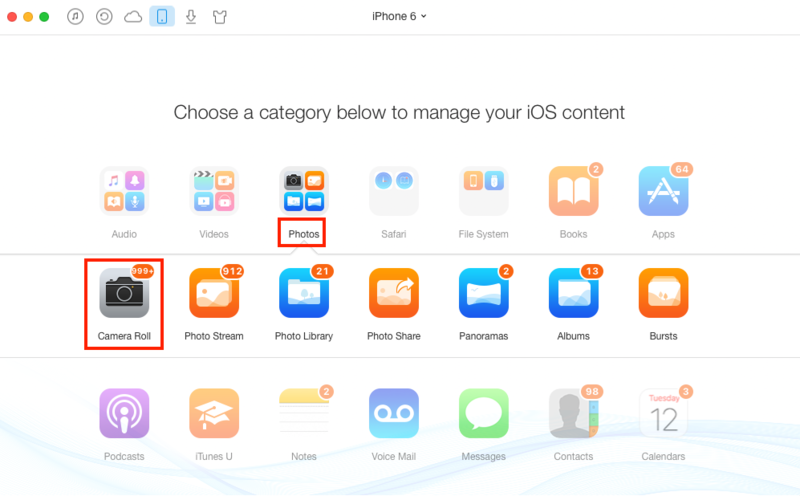 Click on Device Content; go to category page, take photos for example, click on Photos, select one item that you want to backup from, for instance, Camera Roll. Step 3. 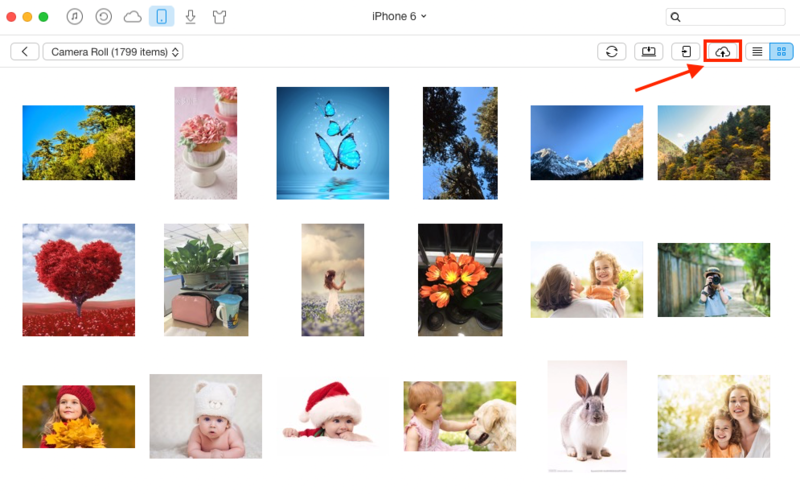 Select pictures and click To iCloud button to start backing up selected photos from your iPhone to iCloud. 1. You can also use AnyTrans to backup contacts, notes, calendars, and reminders from iPhone to iCloud with ease. 2. In addition, it also enables you to create iTunes backup and view contents in iTunes backup. That’s all for how to backup iPhone to iCloud, and these methods absolutely suitable for backing up iPad to iCloud. By the way, here is another surprise for you, that is besides helping you backup iPhone/iPad to iCloud, AnyTrans also supports transferring almost all kinds of iOS contents among computer, iTunes library and iDevices. What an amazing tool it is! If you prefer a faster and easier backup journey, why not download AnyTrans to have a try?